Each January I look forward to the Cincinnati Travel, Sports & Boat Show. I get excited about warmer weather and learn about adventures and destinations to add to my list. So what can you expect this year’s show? 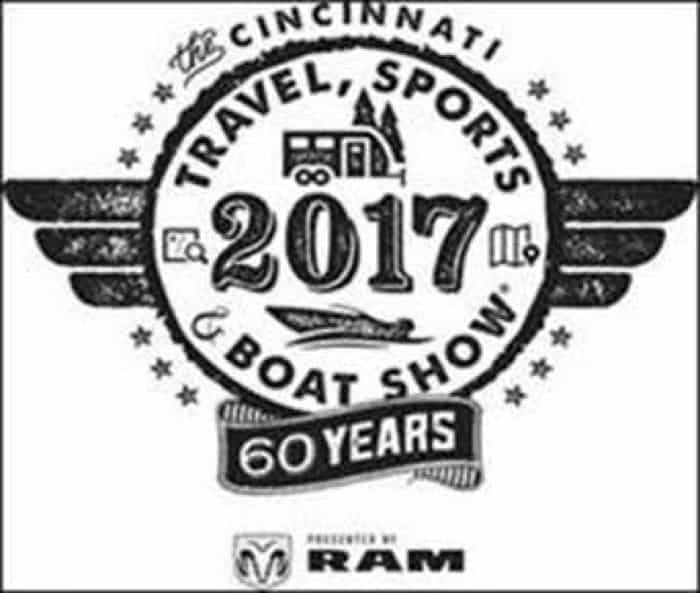 The Cincinnati Travel, Sports & Boat Show® (TSB) celebrates its 60th Anniversary in 2017 – Jan. 13-15 and 18-22 at Duke Energy Convention Center (DECC). 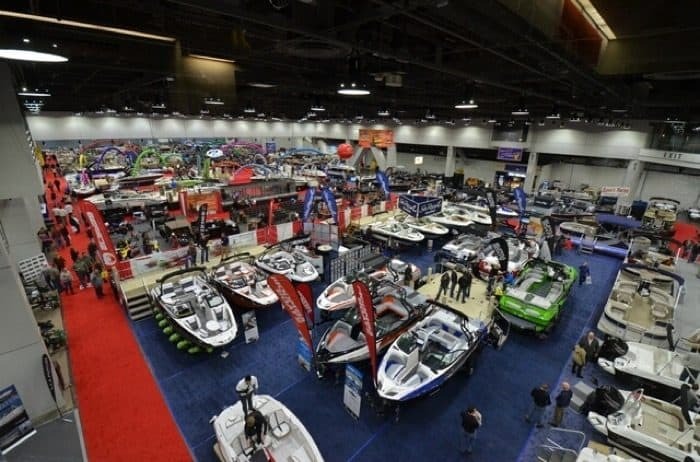 More than 400 marine, outdoor, action sports and travel exhibitors will be on-site as the Show continues its tradition as one of the largest outdoor industry shows in the Midwest. 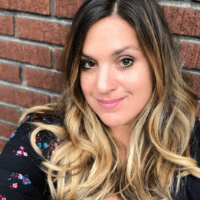 The Show, which also includes the Cincinnati Golf Show® (Jan. 13-15), will span the entire first floor of DECC and once again will expand to the second floor. The 60th annual Cincinnati Travel, Sports & Boat Show®, presented by RAM®, returns to Duke Energy Convention Center Jan. 13-15 and 18-22, 2017. 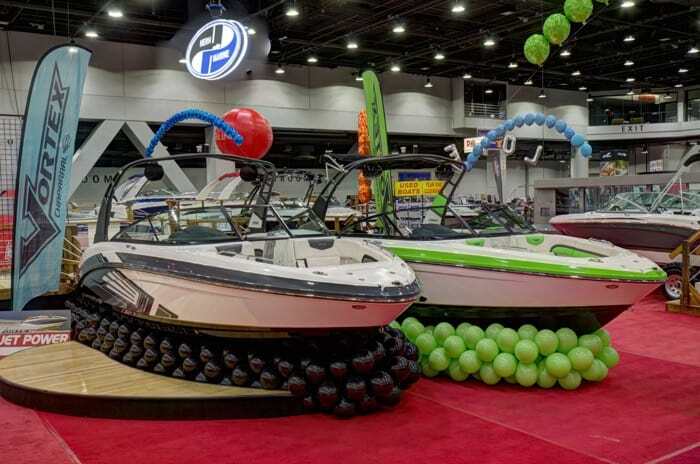 Featuring more than 400 exhibitors in boating and marine services, adventure sports, RVs and camping, golf, travel destinations and more, the Show continues its tradition as the largest outdoor enthusiast show in the Midwest. To celebrate the 60th anniversary, visitors can gain access to the show for FREE on Friday, Jan. 13. Stay tuned to Facebook for announcements, contest and giveaway promotions, and more. The Cincinnati Golf Show® (Jan. 13-15) is included with paid admission and will run in tandem with the Cincinnati Travel, Sports & Boat Show. Cincinnati Travel, Sports & Boat Show® (Jan. 13-15 and 18-22) Make your outdoor adventure dreams become a reality at the 2017 Cincinnati Travel, Sports & Boat Show. Whether it’s a day on the lake, a hike in the mountains, cruising the trails, or a remote getaway, we have everything you need to explore the world around you. NEW! Beer garden featuring local craft breweries. Take a break and enjoy a Madtree or Rivertown brew at the Beer Garden. Local breweries will be on-site to serve your favorites with refreshments and snacks, including Hen of the Woods kettle chips. Adrenaline junkies wanted. Get your blood pumping in our Adventure Sports section, featuring recreational sports and travel destinations including rafting, backpacking, scuba diving, zip lining, rock climbing, spelunking, biking, off-road adventures and more. 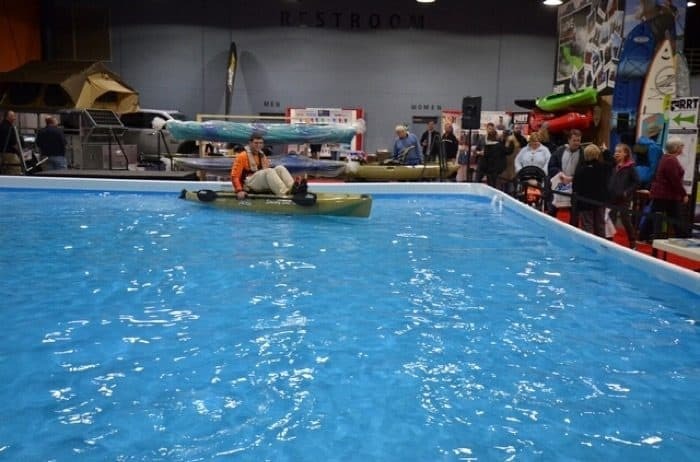 For the third year in a row, visitors can test canoes, kayaks and paddleboards in our 17,000-gallon demo pool on the show floor. Interactive seminars held at the demo pool include Scuba 101, Intro to Kayaking, Fishing from a Pedal Drive Kayak and more. Check out the full demo pool seminar schedule here. Boats, boats and more BOATS! 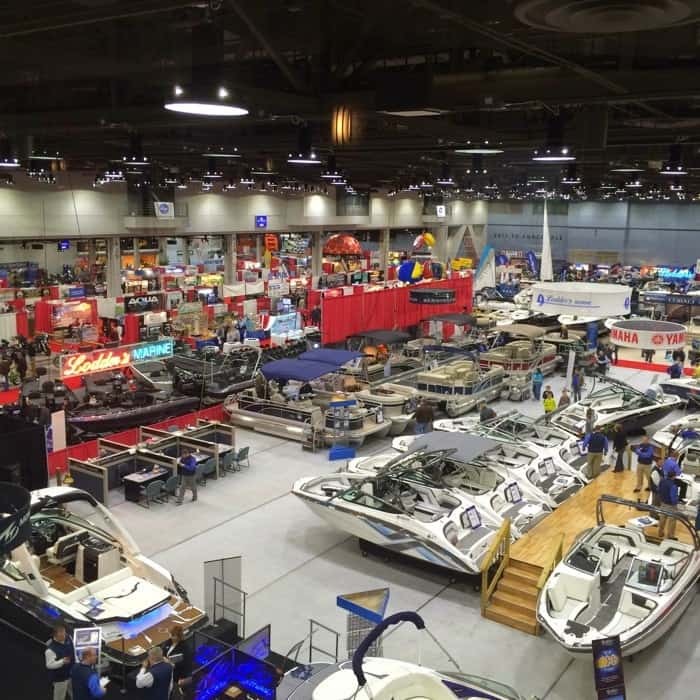 More than 30 boat and marine recreation dealers featuring 60 different brands will offer the best in on-the-water innovation and technology. Hop on-board a large selection of runabouts, bowriders, pontoons, deck boats, wakeboard and ski boats, high performance bass boats, luxury and aluminum fishing boats, canoes and kayaks. Bring your list of questions for our local experts and discover which boat is best for your budget. Great pricing and financing are available. Two, four or multi-wheel adventures. Whether you’re looking for your next weekend cruiser or adventure vehicle to hit the trails, we have what’s new for 2017. Tour our large selection of RVs, campers and trailers, and find brand name motorcycles, dirt bikes, ATV dealers, custom golf carts and more for all your recreational vehicle needs. Book your dream destination. Customizable dream vacation packages are in season. Whether your destination includes a nearby lake cabin, rugged mountain range or Canadian fishing hole, our experts will have all the options at your fingertips. Cincinnati Golf Show® (Jan. 13-15) Power-up your drive, tighten your short game and learn the tips needed to lower your 2017 handicap at the Cincinnati Golf Show®. Featuring PGA-certified golf pros and industry experts from the Southern Ohio Professional Golfers Association (SOPGA), the Show touts the best regional golf courses, resorts and travel destinations. More than 20,000 square feet of golf merchandise will be on sale throughout the weekend. · SOPGA Teaching Pavilion. Try before you buy with 12 interactive swing stations highlighting computerized swing analysis and professional instruction with experts from the SOPGA. Visit the SOPGA Teaching Pavilion to brush up on your swing, get a custom club fitting and attend seminars to hone your game. All experience levels are invited to attend. For the full seminar schedule, visit https://cincinnatigolfshow.com/. · Manufacturer Demo Range, presented by The Golf Exchange. Back for 2017, representatives from the golf industry’s top manufacturers including TaylorMade® and Callaway® will be on-site to answer questions and provide assistance with the latest equipment and technology. · At the Show: admission for adults is $12 at the Elm Street lobby ticket window located inside Duke Energy Convention Center. Admission for adults is $10. *Children (ages 12 and under) are FREE when accompanied by a paying adult. Admission to the Travel, Sports & Boat Show includes admission to the Cincinnati Golf Show. Sunday, January 22: 11 a.m. – 5 p.m. NOTE: Admission to the Cincinnati Travel, Sports & Boat Show is FREE to all guests on Friday, Jan. 13. The Cincinnati Travel, Sports & Boat Show® is closed Monday and Tuesday, Jan. 16 and 17. For more information about the Cincinnati Travel, Sports & Boat Show and Cincinnati Golf Show, visit www.hartproductions.com. Find the shows on Facebook. Follow the shows on Twitter @CincyTSB and via the following hashtags: #CincyTSB and #CincyGolfShow. I’ve been given (3) Family Four Packs of tickets to Giveaway! Disclosure: I received tickets for giveaway and review purposes. All opinions are my own. It’s cold and I am not camping. LOL. But doesn’t mean I can’t plan warm weather travel! I have been before and it is fun for the whole family. We went and had a fun day! Thanks for the great post about the show!